Kids will wake right up when you serve them these chocolatey pancakes in the morning. Or event better and easier, serve them for supper. Get creative and make crazy faces with the chocolate chips. In a large bowl, mix ingredients except chocolate chips. Heat non-stick skillet over medium-high heat. Pour batter onto greased skillet. 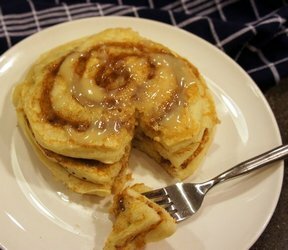 Flip when batter bubbles. 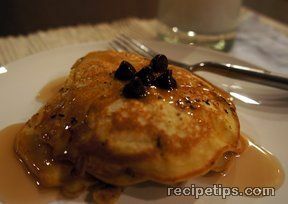 Add mini-chocolate chips to pancake after flipping. NOTE: Also good without chocolate chips. 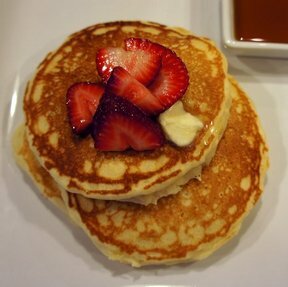 "I don't like syrup on my pancakes so these are perfect for me. 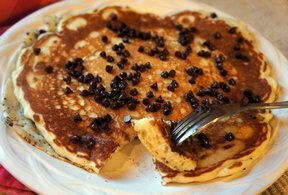 And the mini-chocolate chips start melting right away, you can spread them on."